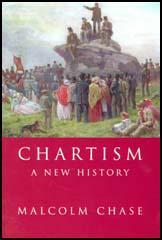 On the 4th May, 1842, Thomas Duncombe presented to Parliament a Chartist petition signed by 3,250,000 people. As well as demanding the six points of the Charter the document also complained about the "cruel wars against liberty"; and "unconstitutional police force"; the 1834 Poor Law; factory conditions and church taxes on Nonconfotmists. It also included an attack on Queen Victoria, contrasting her income of "£164 17s. 10d. a day" with that of "the producing millions". 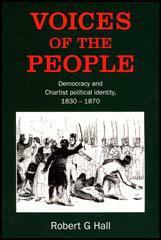 The Chartists were furious when the House of Commons rejected the petition by 287 votes to 47. This decision was followed by a series of strikes in the industrial districts. It started in the Midland coalfield, and spread during August to Scotland and to the textile industry in Lancashire and Yorkshire. In some cases, striking workers stopped production by removed the boiler plugs from the steam engines in their factories. As a result, these industrial disputes became known as the Plug Plot. Some workers argued that they would remain out on strike until the People's Charter became the law of the land. A conference of trade union leaders in Manchester also passed a resolution linking the strikes to the demands for universal suffrage. The strikes were supported by George Julian Harney and Thomas Cooper who had earlier advocated a withdrawel of labour, the Sacred Month, as a strategy to obtain the vote. Feargus O'Connor, the leader of the Physical Force Chartists, who had argued against previous plans for a Sacred Month, denounced the strikes in his Northern Star and even suggested they were being organised by the Anti-Corn League. The prime minister, Sir Robert Peel favoured a non-intervention approach to the problem, but the Duke of Wellington argued for troops to be sent in to deal with the strikers. Eventually Peel agreed with Wellington and Sir James Graham, the Home Secretary, and the army were dispatched to the trouble areas. Leaders of the strikes, including the members of the Manchester Conference who had voted for linking the dispute with the Chartist demands, were arrested. Several Chartist leaders such as Feargus O'Connor, George Julian Harney and Thomas Cooper were detained. Out of the fifteen hundred people arrested, seventy-nine were found guilty and sentenced to between seven and twenty-one years' transportation. By the end of August rioting had come to an end. Most strikers returned to work but the cotton operatives of Lancashire and the Staffordshire miners held out for another month. I have not had a spare moment since the close of the session. My time has been occupied with odious business arising from the mad insurrection of the working classes. I am convinced that only force alone can subdue this rebellious spirit. (3) Sir James Graham wrote to Sir William Warre, the man responsible for law and order in Manchester, and suggested the employment of spies to obtain the information needed to convict the leaders of the strikes (12th August, 1842). If these rioters were aware that their plans were discovered, their secrets known, and their evil advisers watched, distrust would be sown amongst them, and the efficacy of your repressive force would be greatly augmented. I propose to charge O'Connor as a general conspirator with the others and not to proceed against him for libel merely, or for acting as a delegate, or taking part in the meetings of delegates - I prose to try him in the same indictment with the worst of the defendants who headed mobs, made seditious speeches, and stopped mills and factories. I shall blend in one assocation the head and the hands - the bludgeon and the pen, and let the jury and the public see in one case the whole crime, its commencement and its consequences. I think the public would support us just now, after the experience of recent events, in prosecuting the editors and publishers of some of the worst papers. I would select articles that encourages the renewal of the attempt to carry the Charter, or any other public measure, by physical force.